Access physical activity grades, report cards and other related documents from all Global Matrix events in which Australia has participated. All Australian families need to be able to access practical advice, examples and opportunities that will support children to meet the 24-hour movement guidelines every day. All physical activity messaging should include real ways that children and young people can incorporate more activity into their daily routines with the inclusion of parents/carers and siblings. These suggestions need to include a variety of activities that would appeal to a broad audience with varying interest and abilities and include both aerobic- and strength-based examples. Families also need to be supported and educated about how they can limit sedentary screen time and how to encourage good sleep habits with a focus on early to bed and early to rise. National funding for routine and regular surveillance of physical activity and fitness (e.g., aerobic and muscular) of all Australians, including consensus on measurement methods among states and their government departments. Natasha Schranz, Ph.D.Dr. Natasha Schranz is the Active Healthy Kids Australia Co-Chair and Research Fellow at the University of South Australia. 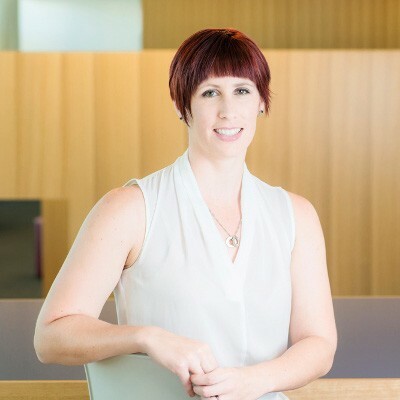 She was Lead Investigator, Lead Author, and Project Manager on Australia’s first Report Card on Physical Activity for Children and Young People. For her PhD, conferred in 2013, Natasha led a resistance training intervention aimed at improving the strength, body composition and self-concept in obese adolescent boys. 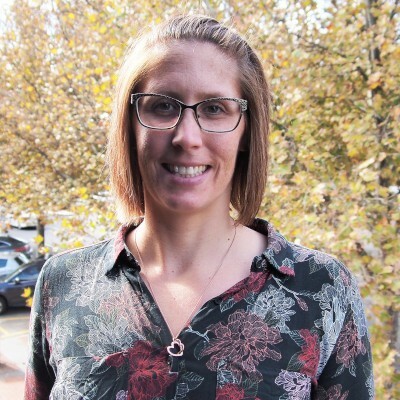 Her other research achievements have included leadership roles in large-scale 3D anthropometry surveys of elite athletes and military personnel in close collaboration with the Australian Institute of Sport and the Defence Science and Technology Organisation. Her research is now focused on the physical activity and sedentary behaviours of young people. Dr. Schranz leads the Active Healthy Kids Australia Physical Activity Report Card initiative for which she was successful at securing $400,000 in funding from the University of South Australia Vice Chancellors Development Fund. She has 13 refereed publications and was selected by the Australian Research Council to attend the 2015 Global Young Scientists Summit held by the Singapore National Research Foundation. "Being a part of the Active Healthy Kids Global Alliance and the Global Matrix 3.0 give me hope for kids today and in the future. The willingness and want of all of us to work together in such a collaborative way is a true testament to the leadership of Mark, Joel and Salome (our Canadian powerhouse). I feel that we are so close to a tipping point when it comes to getting kids more active and I think that the Active Healthy Kids Global Alliance might just push us over the edge!" - Natasha Schranz, Ph.D.
Natasha Schranz1, Vanessa Glennon1, John Evans2, Sjaan Gomersall3, Louise Hardy4, Kylie. D Hesketh5, David Lubans6, Nicola. D Ridgers5, Leon Straker7, Michalis Stylianou3, Grant R. Tomkinson8, Stewart Vella9, Jenny Ziviani3 and Tim Olds1. 1Alliance for Research in Exercise, Nutrition and Activity, School of Health Sciences, University of South Australia, Adelaide, South Australia, Australia; 2Faculty of Health, University of Technology Sydney, Sydney, NSW, Australia; 3Faculty of Health and Behavioural Sciences, The University of Queensland, Brisbane, QLD, Australia; 4Faculty of Medicine and Health, Sydney School of Public Health, The University of Sydney, Sydney, NSW, Australia; 5Institute for Physical Activity and Nutrition, School of Exercise and Nutrition Sciences, Deakin University, Geelong, Victoria, Australia; 6Priority Research Centre for Physical Activity and Nutrition, Faculty of Education and Arts, University of Newcastle, Newcastle, NSW, Australia; 7Curtin University, Perth, WA, Australia; 8Kinesiology and Public Health Education, University of North Dakota, Grand Forks, ND, United States; 9School of Psychology, Faculty of Social Sciences, University of Wollongong, Wollongong, NSW, Australia. In 2014 Active Healthy Kids Australia (AHKA) launched it’s innaugural Report Card on Physical Activty for Children and Young People. 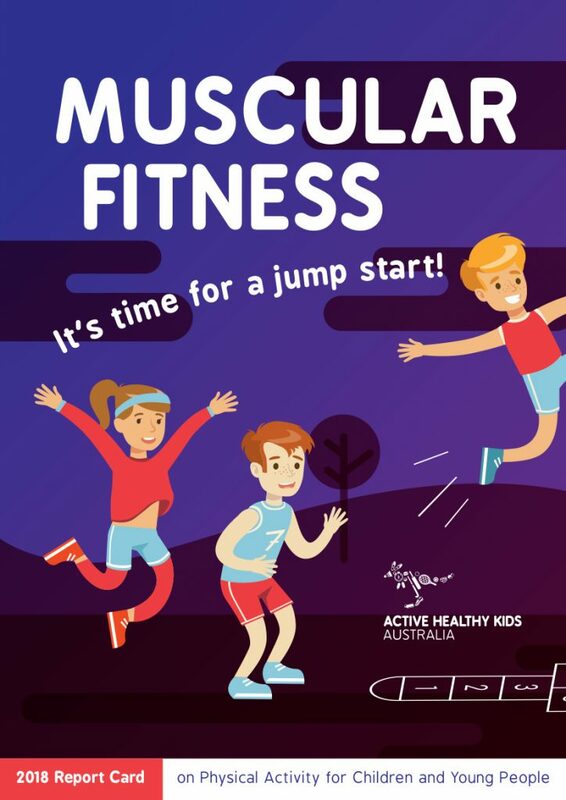 Four years on, there has been little to no change in the activity levels of Australian children with the majority of 5–17 year olds not getting the recommended 60 minutes of moderate-to-vigorous physical activity every day. AHKA is a collaboration consisting of 13 physical activity and health researchers from Australia, who are responsible for collating, synthesising and evaluating data that are then used to assign grades to 12 physical activity indicators using pre-determined metrics and benchmarks. The 2018 AHKA Report Card assigned grades to 10 Global Matrix 3.0 indicators and two additional indicators, that collectively fall under one of four categories: Physical Activity Behaviours (Overall Physical Activity, Organized Sport Participation, Active Play, Active Transportation, Sedentary Behavior, PA in School); Settings and Sources of Influence (Family and Peers, School, Community and the Built Environment); Strategies and Investments (Government Strategies and Investments); and Traits (Physical Fitness, Movement Skills). The 2018 Report Card synthesised the best available Australian data. Only nationally or state/territory representative data from 2013 onwards were utilised to assign grades, with nationally representative data taking precedence when available. As with previous Report Cards Australia again received a D– for Overall Physical Activity Levels. Poor grades (D– to D+) were also assigned to several other indicators including Active Transport, Screen Time, Strategies and Investments, Physical Fitness and Movement Skills. It is encouraging however that Australia scored better grades for settings and sources of influence (Family and Peers, School, Community and Built Environment; C+ to A–) and other physical activity behaviours (participation in organised sport and participation in physical activity in school; B– to B). See Table 1. *Indicates grades that were not included in the Global Matrix 3.0. 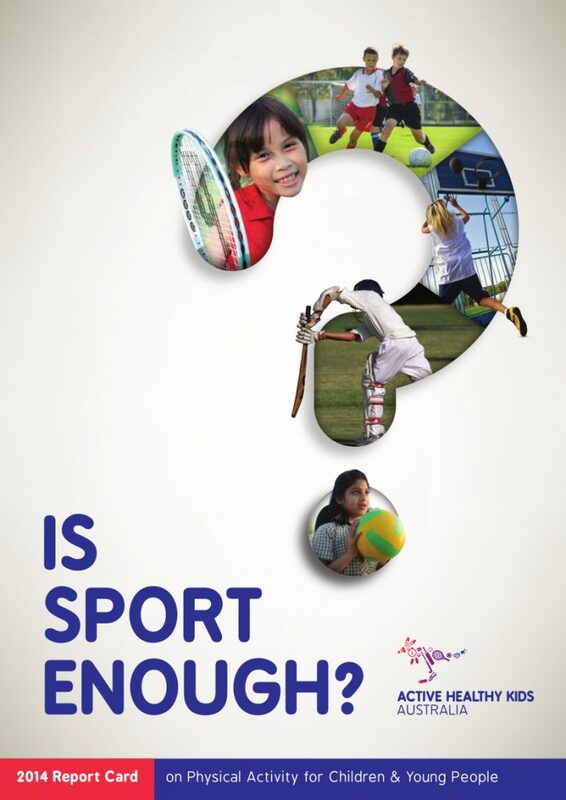 Conclusion The 2018 AHKA Report Card shows that, despite living in a country advantaged by good schools, programs, facilities and spaces, Australian children and young people do not move enough, lack movement skill mastery, and compare poorly to their international peers when it comes to physical fitness. Stronger strategic commitment from government is required at all levels to drive a cultural shift to see Aussie kids moving more every day. It is imperative that the Australian Government implements a funded national physical activity plan that is based on the best available evidence, targets multiple sectors and is developed in consultation with experts from various sectors. This overarching plan will help guide and unite Australian efforts aimed at increasing the overall activity levels of all Australians. It is crucial that all young Australians be supported to develop the ‘tools’ they need to engage in physical activity across the lifespan, helping to make physical activity easy and accessible. Being physically active needs to become second nature in order to promote healthy growth, development and wellbeing. Children and young people and their families need to be continually educated on the importance of balancing different types of sedentary behaviours, especially since some are more likely to be detrimental than others (e.g., screen time for entertainment vs. study for school vs. reading a book). Parents could use autonomous and supportive parenting practices, whereby they involve children in the formation of household rules and consequences/rewards. Schools need to ensure they have comprehensive physical activity policies in place that outline ways to encourage and engage students in physical activity throughout the entire school day to promote physical, mental, social and academic benefits. For example, in addition to formal physical education classes, schools should promote in-class physical activity and ‘energiser’ breaks. This should be developed in consultation with teachers, parents and students and reviewed over the course of a school year. We need to ensure that public facilities and infrastructures are well maintained, accessible, and take into consideration the different abilities, interests and motivations of all young Australians. A multi-sectorial approach should be used to plan and develop such places. Any land not currently being used effectively could be considered by local, state/territory and federal councils/governments as potential ‘pop-up’ parks and play/activity spaces, which are innovative, functional and encourage lifelong participation for all. Grant Tomkinson, Ph.D.Dr. Grant Tomkinson has a Bachelor of Sports Science (Exercise Science) degree from the University of New South Wales, and a Bachelor of Applied Science (Honours) degree and a Doctorate (PhD) in Human Movement from the University of South Australia. 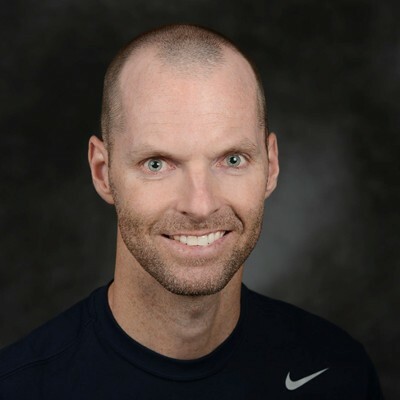 He is an Associate Professor in the Department of Kinesiology and Public Health Education at the University of North Dakota (UND), and holds an Adjunct position with the School of Health Sciences at the University of South Australia (UniSA). He is the Chair of Active Healthy Kids Australia (AHKA) and the Asia-Pacific Lead for the Active Healthy Kids Global Alliance (AHKGA). He was the Project Director for the AU$1 million Anthropometric Survey of the Royal Australian Navy (ASRAN), the Chief Lead Investigator on Australia’s first Report Card on Physical Activity for Children and Young People, and the Project Director on the AU$1.2 million Australian Warfighter Anthropometric Survey (AWAS). His research interests include time trends in the physical fitness, activity and adiposity of young people, and anthropometry, with a particular focus on 3D anthropometry. He has 46 refereed publications, has delivered 12 invited/keynote presentations in seven countries, and has won over AU$4 million in research funding. Using historical data on over 75 million young people from 50 countries, his research was the first to conclusively show that young people’s aerobic fitness has in fact declined worldwide since about 1975. His research has informed policy at an international level, with contributions to policy in Australia, Canada and the United Kingdom, and to the International Olympic Committee’s consensus statement on Fitness and Health of Young People through Sport and Physical Activity. He has also been credited with generating the two largest media stories in the history of UniSA. In 2013 his physical fitness research (presented at the American Heart Association Scientific Sessions in Dallas Texas, USA) generated more than 760 international media stories and 400 million media impressions, while his 2014 Australian Physical Activity Report Card research generated more than 870 national media stories and 11 million media impressions. He is a Young Tall Poppy Award winner. "The childhood inactivity crisis is one that many countries are facing. The Global Matrix 2.0 provides a united forum for us all to work towards a common goal; that is, getting the children of today and tomorrow to “move more and sit less”. By bringing together 38 countries to internationally benchmark nine physical activity indicators, the Global Matrix 2.0 allows Australia to compare how well it is performing in promoting and facilitating physical activity opportunities relative to the rest of the world. We believe that participation in the Global matrix 2.0 will help AHKA to inspire change, and facilitate advocacy and strengthen national, state and community efforts aimed at increasing physical activity and reducing sedentary behaviour in young Australians." - Natasha Schranz, Ph.D.
Schranz N, Olds T, Boyd R, Evans J, Gomersall S, Hardy L, Hesketh KD, Lubans D, Ridgers ND, Straker L, Vella S, Ziviani J, Tomkinson G.
Background: Two years on from the inaugural Active Healthy Kids Australia (AHKA) Physical Activity Report Card, there has been little to no change with the majority of Australian children still insufficiently active. Methods: The 2016 AHKA Report Card was developed using the best available national- and state-based physical activity data, which were evaluated by the AHKA Research Working Group using pre-determined weighting criteria and benchmarks in order to assign letter grades to the 12 Report Card indicators. Results: In comparison to 2014, Overall Physical Activity Levels was again assigned a D- with Organised Sport and Physical Activity Participation increasing to a B and Active Transport declining to a C-. The settings and sources of influence again performed well (A- to a C+), however Government Strategies and Investments saw a substantial decline (C+ to a D). The traits associated with physical activity were also graded poorly (C- to a D). Conclusions: Australian youth are insufficiently active and engage in high levels of screen-based sedentary behaviours. 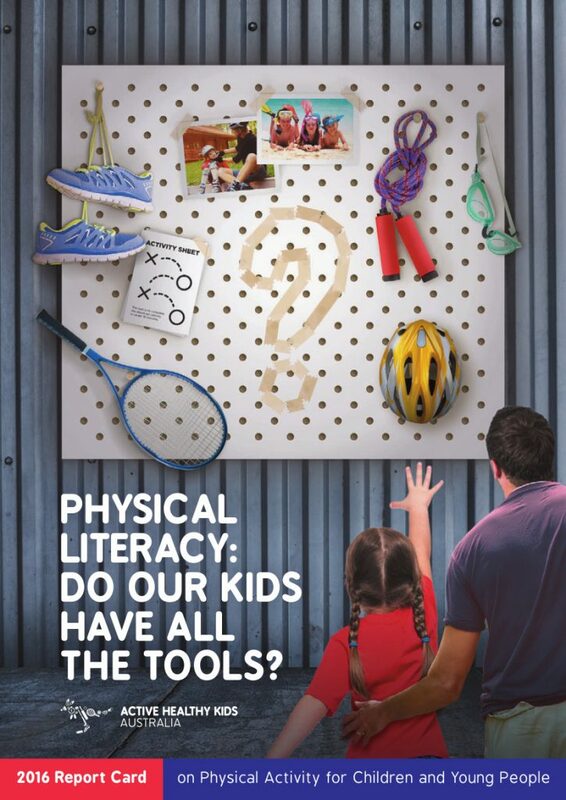 But perhaps we need to ask whether Australian children and young people have all the ‘tools’ they need to engage in lifelong physical activity now and in the future?